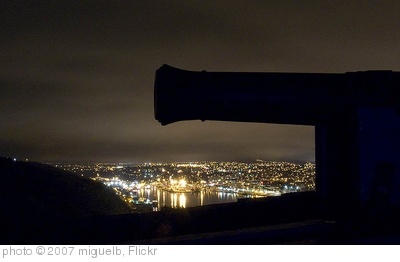 Social media can give Newfoundland and Labrador companies a world of new opportunity. Marketing strategies have stated for as far back as any of us can remember that the key to long-term success is the building of stable relationships. People like to buy from people they like. Companies like to buy from companies that not only deliver the products and service they need, but also reduce their risks. The more peace of mind a supplier can deliver, the greater piece of market share they can expect to win. This importance of relationships has always been a great challenge to any small business trying to enter new markets. Imagine a company from Newfoundland showing up in a new city or country, bringing with it no known reputation, no local customers, and no local established presence. From that starting point it would try to convince potential clients to trust them over local suppliers that had been earning their trust for years. Many of those suppliers would have sales reps who would be on a first-name basis with their buyers and who would regularly be seen at the baseball park or in a grocery store or church. While it can be done, it’s hard to work against competitors with that level of relationship to build trust and confidence with prospects who have never heard of you. Happily, social media makes it possible to start building relationships and reputations in markets anywhere in the world. even while still sitting at a computer in Newfoundland and Labrador. If you’re a one-person business in St. John’s or Corner Brook — or virtually anywhere for that matter — you can create a Facebook page or Twitter account that you can use to connect with future buyers. You can develop a blog that shows your expertise and highlights some of your past successes. You can pinpoint companies and executives on LinkedIn that perfectly match your vision of an ideal customer, and then interact with them even if they’re half a world away. You can create YouTube videos that demonstrate your unique personality or showcase testimonials from happy clients. And there are countless other social media channels just waiting to be explored, but the key to any of them working well is a well-crafted social media marketing strategy. Social media can seem puzzling or even just plain stupid at first glance, but many people will tell you that once you get involved it can quickly engulf you. Before you know it you can be spending hours and hours there each week, but not necessarily see much return for all that time. A social media plan can identify the markets you want to reach, the channels you can best use to be seen, and the specific activities within those channels that are most likely to help you build profitable relationships. That helps you avoid “wasting” many hours that you would otherwise have spent trying to figure those things out the hard way. One of the main reasons social media has become so popular around the world in just a few years is its ease of use. You need no programming skills to set up a profile on Facebook, Twitter, LinkedIn, YouTube, StumbleUpon, Amplify, or any of the literally hundreds of other social media channels that exist today. You need virtually no computer skills to create and generate a blog on WordPress or Blogger, and then generate new blog posts as often as you want. And without a doubt, if you are in a position to handle those things yourself, there is great merit in doing so. When you put such tools into the hands of Newfoundlanders who have for generations eked a living out of meager means, you can be confident of some great things being developed. However, being able to easily create something does not always mean that your something will effectively help you market your company. Yes, you may be able to build a boat, but to catch the fish and bring ’em home to Lizer, you need to target the right types of companies and contacts, as well as the right social media channels to reach your intended markets. You need to understand the types of activities within those channels that will yield a return on the time and effort you invest. You need to engage in the right search engine optimization (SEO) activities in order to make sure your blog and Website are properly optimized and supported, and can be easily found through the main search engines. And you need to be sure you have a way for the contacts you make through social media to easily respond to you. Strategically planning each of those steps right from the start will help make your social media foray successful and profitable. Social media may be free, but the hours you spend there are not. So whether you’re eager to get your company started in social media or feel lost just thinking about it, developing a social media marketing strategy should be your first step. Lorne Pike is a social media, blogging, SEO and Website design consultant based in Mount Pearl, NL, with marketing and sales experience across North America. His more than 20,000 contacts on Facebook, Twitter, LinkedIn, StumbleUpon, and other channels make Lorne a leading social media presence in Canada. Does your company need strategic help with your social media marketing? “In New Jersey and New York, salespeople are everywhere, but good salespeople are hard to find. I make my living by spotting those sales professionals when I meet them, and Lorne impressed me right away as someone who “got it”: he presented how his company could genuinely help mine, rather than sell me something.